Please join us at our farm for a great day of fun and shopping for unique handmade gifts for you or that special person. 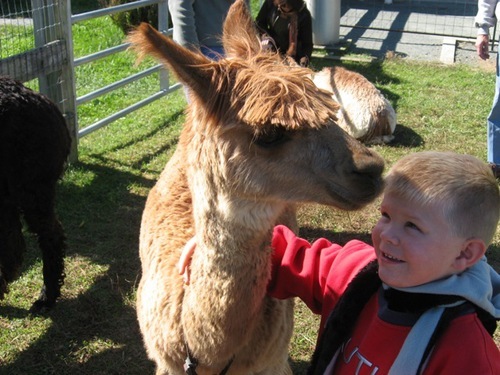 Get close up and personal with the friendly alpacas: Meet Kalahari, Memory, Marengo and many other friendly alpacas. See the alpacas, interact one-on-one with them, see demos on working with fiber, try your hand at the fiber arts, and shop! 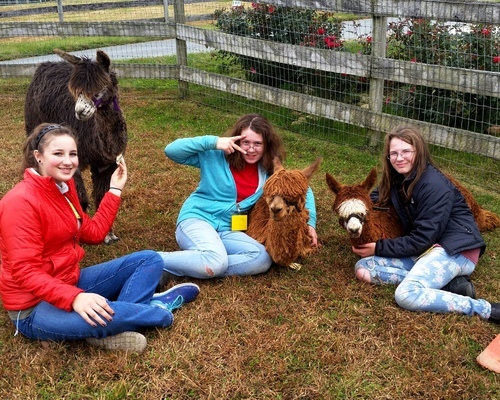 Want to know more about raising alpacas for fun or profit? 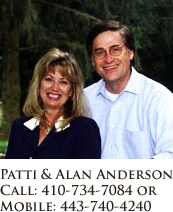 Sign up for upcoming seminars. 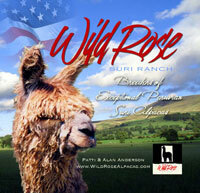 For latest updates, check out of FB page "Wild Rose Suri Ranch Alpacas" and follow us! Open Farm Day Visitors love the alpacas! 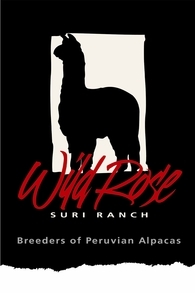 The Wild Rose Suri Ranch, established in 1995, is a mid-size breeding operation of multi-Champion Peruvian suri alpacas specializing in the production of exceptional Peruvian bloodlines specifically selected for fiber characteristics of luster and uniformity, production traits, easy-going dispositions, and conformation. Alan and Patti have created a herd of Peruvian suris that have won multiple championships in halter and fleece at the country's largest shows. We have a variety of colors of pure Peruvian Suris on the farm: white, light fawn, dark fawn, maroon, black, grey, and dark brown, and at times we produce "fancies" or multi-colored and patterned animals from our breeding program, like WRSR Peruvian Kamikaze. We are proud to offer and outstanding lineup of herdsires, including colored full Accoyo males. The Wild Rose Suri Ranch is known for its high quality production of white and fawn extremely high luster suris with Accoyo bloodlines. We also offer full Accoyo breeding stock from Bruxo, Baccarat, Uribe, Jackpot, and Ace bloodlines, producing light fawns, beiges, and whites. We have branched out into maroons and grey, and offer a variety of herd sires and foundation females to meet your quality color needs. 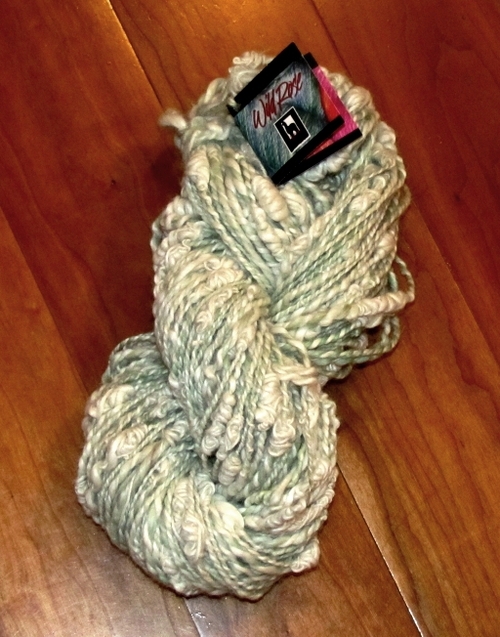 Interested in purchasing suri fiber, yarns, or handmade items? Check out our store to see hats, scarves, gloves, handpainted suri yarns from our herd, rovings, and handpainted fleeces for spinning and felting crafts. Come visit our breeding operation and beautiful farm to check out the lifestyle and benefits of owning alpacas. We offer seminars on various subjects, and our own "Mentoring Program" for new buyers along with unparalleled and committed ongoing support. The farm is always open, so stop on by and see the exceptional breeding stock and fiber animals for sale. 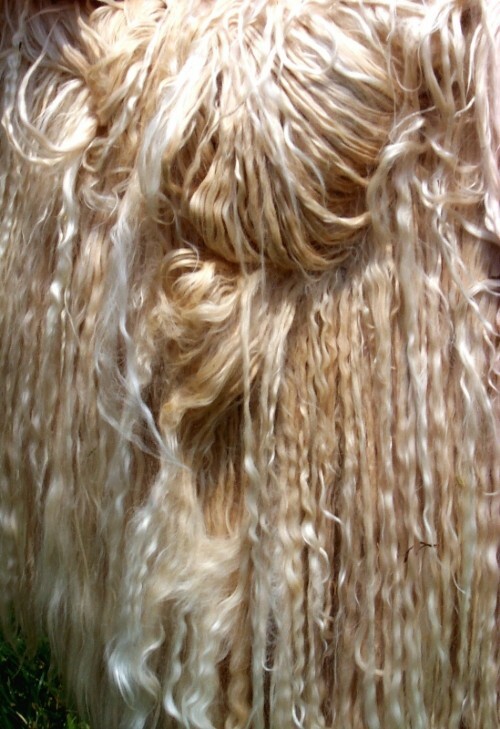 You can also find more information about suri alpacas and suri fiber at www.WildRoseAlpacas.com. Want to learn more? Click here for a 3 minute movie about alpacas!